How to Download GATE Admit card 2018? 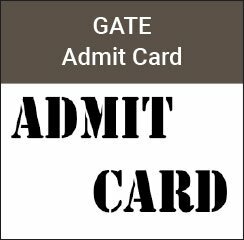 It is mandatory to carry GATE Admit card 2018 to the examination hall. Candidates who do not carry admit card will not be allowed inside the examination hall. It is also compulsory to carry valid photo ID proof like AADHAR card, PAN Card, Voter ID or Drivers license to the exam hall.